Being a conscientious mineral resource company, PMC is committed to manage and rehabilitate the physical environment within and around its areas of operations by promoting environmental stewardship across all levels in the organization. Through the Environmental Protection and Enhancement Program (EPEP), the Company ensures that the impacts of its activities are mitigated and measures are in place to certify compliance with existing laws, rules and regulations. The EPEP is a congregation of well-thought plans and long-term programs that will safeguard the well-being of future generations. 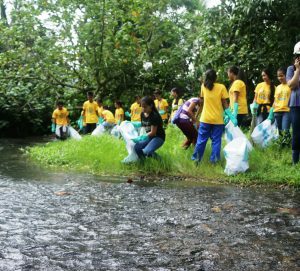 From 2012-2016, the Company spent almost P2 billion for EPEP, primarily in the areas of reforestation and rehabilitation, air, land, and water quality monitoring and treatment, and waste management, among others, across the different areas of its operations. The Annual Sustainability Report bears more detailed information on the Company’s environmental preservation and conservation initiatives. Philex, as a Socially and Environmentally responsible Filipino company striving for excellence in mineral resource development, is committed to the continual improvement of its operations, to minimize adverse environmental impacts, to comply with applicable legislations and other requirements, and to promote environmental awareness and commitment among its workers at all levels. The Padcal Mine was a logged over area with very few families before it started operation in 1958. Today, more than 2,800 hectares have been reforested with some eight million trees with a survival rate of 90%. 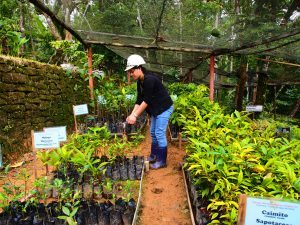 Average annual cost for Padcal mine’s reforestation program is Php 3.4M. Water quality management and monitoring is conducted daily by our Tailing Storage Facility (TSF) team, weekly by the Environmental Quality and Management Enhancement Department (EQMED) and quarterly by the government-led Multi-Partite Monitoring Team (MMT) for the operating mine and the Community Technical Working Group (CTWG) for the exploration projects. Regular effluent monitoring is being conducted at strategic sampling points in and outside of the mine camp. Air quality is managed thru fog cannon to suppress dust dispersal while used oil is sold to Environmental Management Bureau (EMB) accredited buyers. Our first and second Tailing Storage Facility (TSF) have been decommissioned and are undergoing soil reconditioning as part of our rehabilitation. TSF No. 1 is now fully revegetated and is used as an experimental plot for ornamental plants. In 2015, Padcal Mine received an Integrated Management System (IMS) Certification from TUV Rheinland, covering both ISO 14001:2004 for Environmental Management System (EMS) and OHSAS 18001:2007 for Occupational Health and Safety Assessment Series, which confirms not only the mine’s environmentally-compliant practices but occupationally-safe operations as well. The Silangan Project won the Platinum Achievement Award in 2016 and the Presidential Mineral Industry Environmental Award, the highest award conferred in the Exploration Category for excellence in overall Environmental Protection, Safety and Health Management, and Social/Community Development, for two consecutive years in 2015 and 2014. These distinctions define our fervent pursuit for Environmental Care and Community Engagement even prior to commercial operations. Areas immediately rehabilitated are drilling areas and the sides of the roads. The forest nursery at our Silangan Exploration project has the capacity to produce 100,000 seedlings annually. 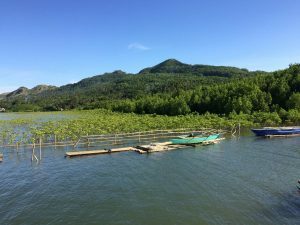 The nursery is used as a major source of planting materials for the reforestation projects of various government agencies and private organizations. As a practice, the Company actively participates in tree planting and other re-greening activities of various groups in the province. In terms of land management, particularly with respect to soil movement, engineered silt traps are constructed at strategic points to help control downstream sedimentation. Water quality monitoring is also a standard practice by in-house personnel for both surface and drinking water sources in the project areas. 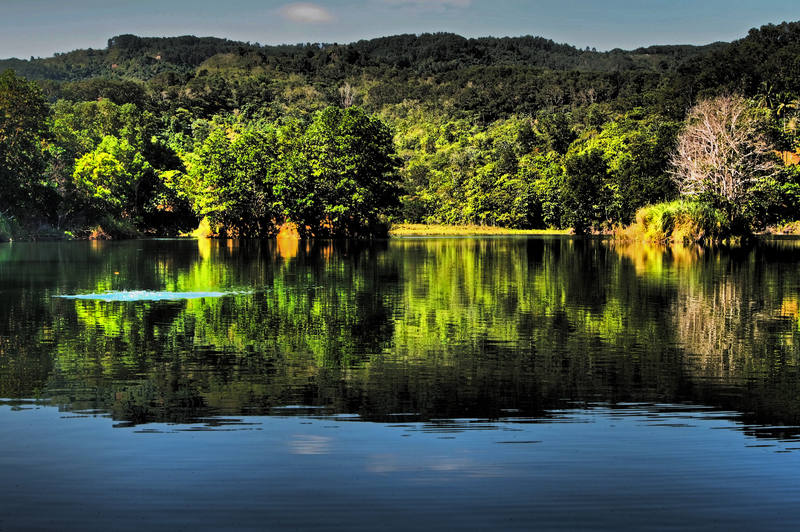 As a result of aggressive and continuous effort for sound Environmental Management, Philex has been a consistent winner of various awards such as the prestigious Adopt-A-Mountain, Adopt-A-Mining Forest Program of the government, as well as the Presidential Mineral Industry Environmental Awards (PMIEA). The immediate and progressive rehabilitation of disturbed areas is a standard Environmental practice of the Company. The Bulawan Mine administrative area surrounded by trees planted as part of its rehabilitation program. 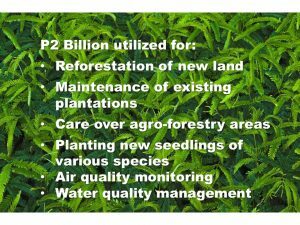 As of December 2011, Bulawan Project was able to reforest 26.42 hectares with total dispersal of 23,811 Mangium seedlings. Philex spect P574, 197.00 for the Reforestation Projects. Bulawan site has a central nursery that contains 1,452 seedlings of Indonesian Jatropha and 34,788 seedlings of Mangium. 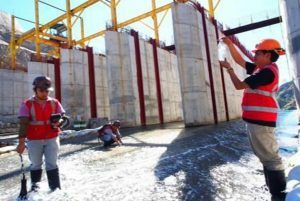 Aside from reforestation, rehabilitation of previously disturbed areas, various erosion control, water monitoring and waste segregation are implemented to ensure compliance with applicable laws that are concerned with the Environmental Protection. Sibutad Mine is a good example of upland and lowland reforestation activities. 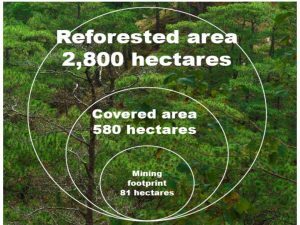 Under the Care and Maintenance Program, Sibutad Mine continuously maintains the reforestation, rehabilitation and other environmental measures in the site. 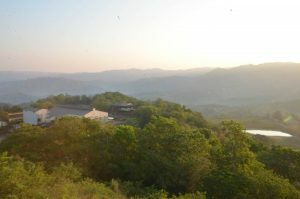 The Sibutad Mine is a consistent awardee of the government’s Adopt-A-Mountain, Adopt-A-Mining Forest Program. Over the years, the Company has been partnering with different stakeholders in order to make its development initiatives more purposeful.